While Singaporeans love a good property buy and are always hunting for new and better opportunities, property prices in land-scarce Singapore are jacked up by a lack of land supply. Whether it’s condominium apartments, townhouses or landed homes, properties in Singapore seem to be getting less and less attainable. There’s hope, however, for those who seek greener pastures. In fact, just over the causeway lies a set of unique properties that combine affordability, space, and customizability that’s just a stone’s throw away from Singapore! Sunway Lenang Heights presents an exclusive collection of freehold landed homes within a refreshing environment filled with lush greenery. It is a most coveted address in Johor Bahru which is in close proximity to Singapore. Comfort and peace of mind is ensured in this gated and guarded community that prioritizes resident’s security needs. The comprehensive arrays of facilities at our 38,000 sq.ft. clubhouse are thoughtfully designed to offer a wholesome lifestyle for the residents which includes a gymnasium, tennis court, swimming pool, games room, multi-purpose hall and much more. The development features of 84 semi-detached homes and 28 of three-storey bungalow homes. The built-up size of semi-detached ranged from 2,943 to3,865 sq.ft, while the bungalow’s built-up size ranged from 4,535 to 5,090 sq.ft. These huge configurations, however, do not cost millions upon millions like their Singaporean counterparts. Instead, the semi-detached homes start from $520k, while the 3 storey bungalows are priced at $1million. Something that is unheard in Singapore! 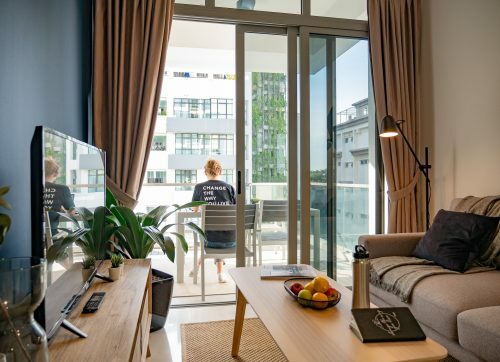 Sunway Lenang Heights is brilliantly located in the high-end suburbs of Taman Molek and you get to enjoy the convenience as your daily needs are met with the greatest of ease. Essential amenities such as educational institutions, hospital, banks, and hypermarkets are just a short drive away. Within a 15km radius, there are AEON Tebrau City, IKEA, AEON Dato Onn, Tesco Extra Hypermarket and Giant Hypermarket. There are also famous golf clubs nearby such as Ponderosa Golf and Country Club. The Malaysia-Singapore Causeway Woodlands Link Bridge is located only 14km away which takes connectivity up a few notches. 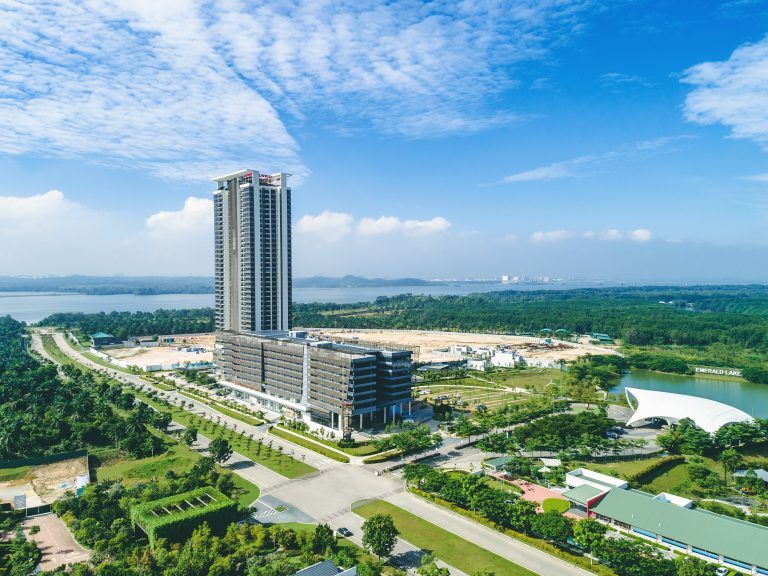 The newly-built township of Sunway Iskandar holds many great property deals, but Sunway Citrine Residences is the only one that boasts an amazing seafront view. Sunway Citrine Residences was completed on November 2017 and is a low-density mixed-use development that boasts 328 serviced apartments, 168 office suites, and 51 retail units. The 328 partially-furnished units are split into 1, 2 and 3 bedroom configurations, ranging from 626 to 1,528 sq ft and include dual-key features with multigenerational families in mind. 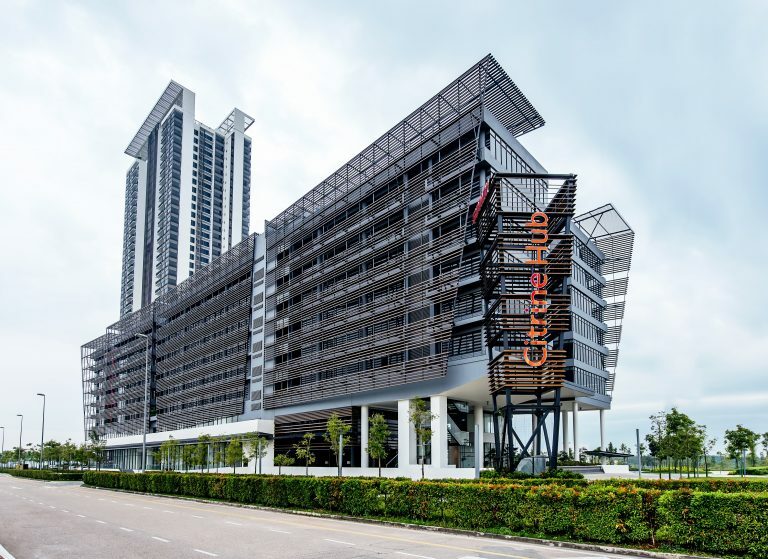 Sunway Citrine Residences is connected to 51 retail units at Sunway Citrine Hub, which is fully managed by Sunway Retail. This means convenience in the form of Johor’s very first Jaya Grocer, a high-end hypermarket that sells quality goods. Sunway Citrine Hub also features tenants such as 7-Eleven, Sunway Pharmacy, Awesome Brew Café, Heaven’s Door Bistro, Oldtown White Coffee, a new bookstore named Be Books Nooks, Sushi House and many more. Upcoming tenants include Morganfield’s and AlleyLab Coffee. Citrine Residences itself comes with facilities that include an infinity pool, barbecue decks, children’s playground and pool, a gym and even a yoga deck. To top it all off, there’s an amazing rooftop sky garden where you can enjoy sweeping views of the sea, river, and lake. The location is also well-placed for amenities, with good proximity to places like AEON Bukit Indah, Legoland Malaysia, Sanrio Hello Kitty Town and Gleneagles Medini Hospital. It’s also very near Singapore, with the township located only 5km away from the Second Link. For all this, the value is phenomenal. Homes at Sunway Citrine Residences start at RM538,000 and you can enjoy further rebates up to RM200,000 during our promotional campaign period. Whether you’re looking at quantum, or on a per square foot basis, you’d be hard-pressed to find anything remotely close to this value in Singapore. If you’re looking to make your home “one-of-a-kind”, then you might want to check out Sunway Iskandar’s GRID Residence. GRID is one of Malaysia’s first Build and buy homes, meaning that there isn’t a specific fixed layout for buyers. Instead, buyers will actually be able to build their home using the Sunway GRID Website that allows for them to customize the home’s layout themselves. Want more space for your living room? You can do just that. You can choose to build a studio or up to 3 rooms and even add furnishing to your unit by just finger click and make it happen. Isn’t that cool? Malaysia’s first development that can be purchased and customized online comprises of 501 units and comes with facilities like an Olympic Pool (Length-Sized), Multipurpose Hall, Fitness Centre, Playground, Basketball Court (Half-Sized), Game Room, Day Care Room, and a BBQ Deck. It’s also conveniently located next to the major Sunway Iskandar Shopping Mall which comes with Sunway Hotel and Office Tower, and even has a selection of 41 retail units built into the development! 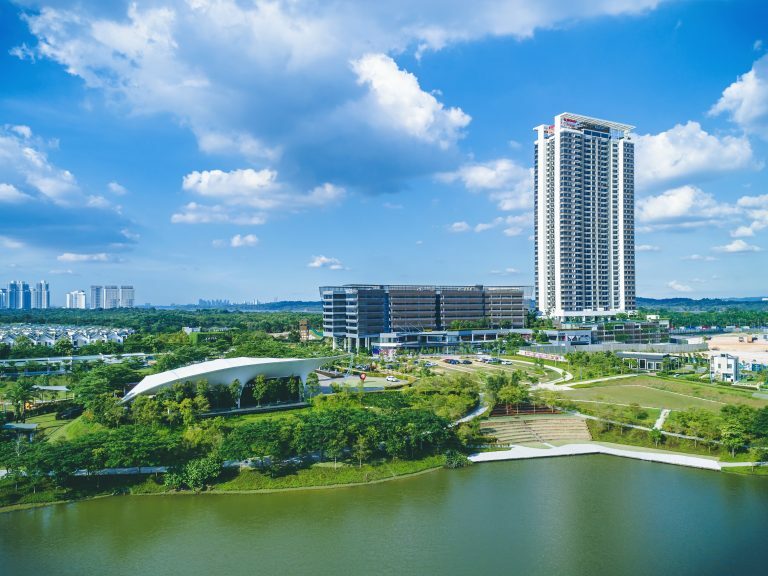 With almost 40% of Sunway Iskandar’s township dedicated to nature, it is no surprise that the Sunway Emerald Residence is surrounded by the cool hues of nature. The development sits on 22 acres of land, centered by a tranquil lake garden. Sunway Emerald Residence’s 222 landed homes are built right next to the 20 acres Emerald Lake Garden and are designed to allow natural lighting and air flow into the homes. The properties are built in link home, link cluster, super link home and semi-detached configurations, ranging from 1,919 to 4,290 sq ft. The houses are all built in a dual facing plan for privacy and space. However, the coolest part for the family would be the extruded telescopic living room, built to give occupants beautiful views of Emerald Lake. The development also has a private clubhouse, which comprises a gym, swimming pool, and playground. 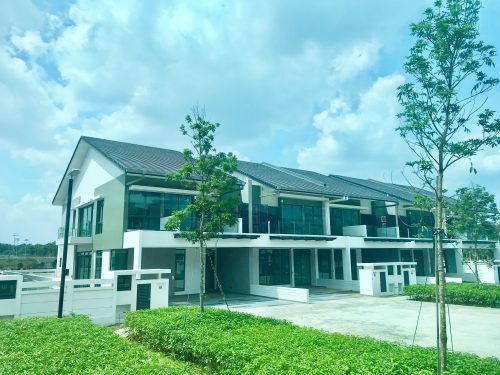 This gated community is just 5 minutes away from Singapore Second Link via the new highway called Coastal Highway Southern Link (CHSL) at Exit 313, and is well-supported with amenities located within the Sunway Iskandar township. If you prefer the quaintness of townhouses, then a short distance away from Sunway Emerald Residences are the Sunway Citrine Lakehomes. This newly launched development sits right next to the 20 acres Emerald Lake Garden as well, and just like Sunway Emerald Residences, this development is all about lakeside living. The difference here is the that the configurations come in link homes, townhouse and link cluster formats, so the 361 units here are a little smaller than the ones at Sunway Emerald Residences. The units start at 1,959 sq ft and go all the way up to 2,299 sq ft configurations. These homes have a starting price of RM550,000, and go all the way up to RM1,020,000, breaking down into the per sq ft range of RM280 to RM443. Lakeside living has never been this affordable! 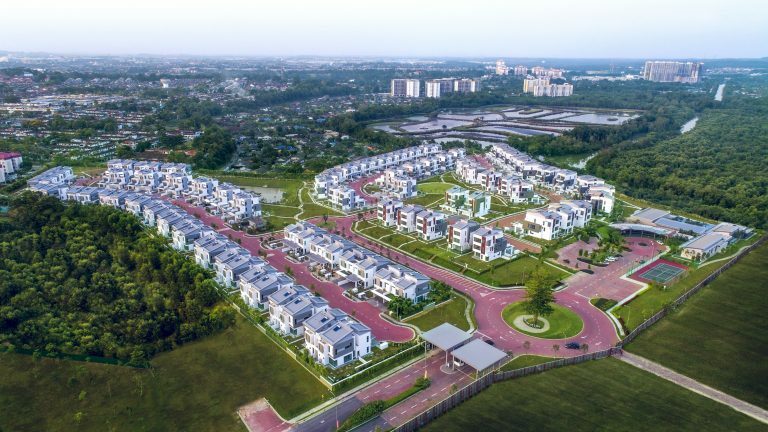 Sunway Citrine Lakehomes is also connected to the 51 retail units at Sunway Citrine Hub, essentially giving residents here access to key conveniences like Johor’s first Jaya Grocer, an assortment of F&B choices and a strong selection of lifestyle retail. The development is also only 300m away from the Seafront Precinct, so the water’s just a short stroll away! Thinking of getting your own dream home across the causeway? Sunway has taken the initiative to sweeten the deal with some great offers. The sweet deals above are icing on the cake which Sunway has specially catered for you. With great amenities built into the township, superb pricing, and great location with proximity to Singapore, Sunway’s developments have what you need to set up a home you can only dream about in Singapore. 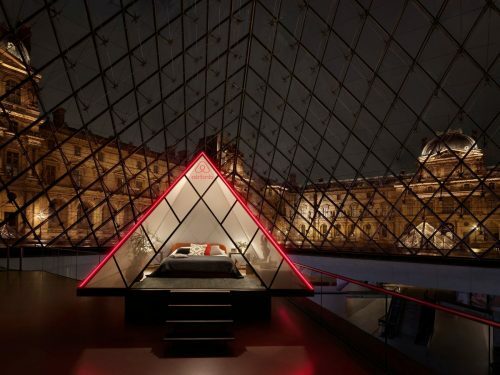 Ready to get your very own dream home? Hit up Sunway Iskandar for more information!